I've been thinking a lot about new year's resolutions. I think they're funny. Mostly because people make them, forget about them, neglect them, or work at them for a limited period of time. Last year, I chose seven new resolutions to live by. Seven that I just couldn't imagine life without. And I stuck to them. Of course, I posted them in my kitchen to see every day, but I can honestly say I lived by them. And I'm not ready to let them go. So this year, I'm adding to the list. I'm keeping my old ones, because I think they made me try to be a better, more relaxed person, and I'll add my new ones to live by this year. 7. Spend more time under the stars. 8. Treat others according to my character, not theirs. 15. Follow my own truth. I haven't been able to figure out exactly how to explain this wild, magical weekend... but my sweet friend, Mignon, did so perfectly. 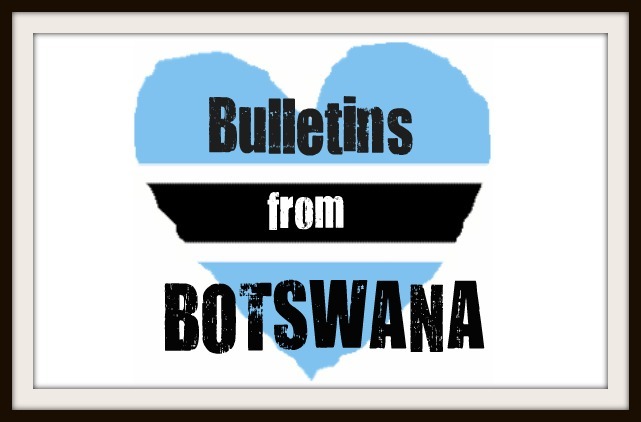 So, I'd like to refer you to her blog post if you'd like to hear more about one of my biggest adventures in Botswana.